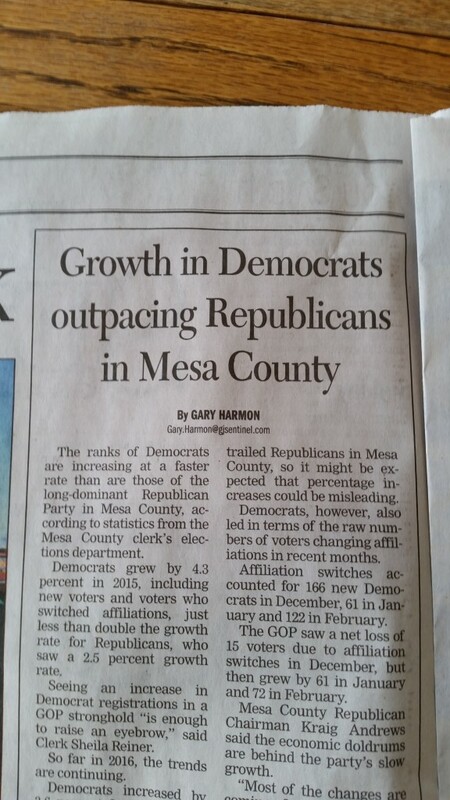 The above article from the March 27, 2016 issue of the Grand Junction, CO Daily Sentinel says that the increase in registered Democrats is happening without any kind of organized registration drive being put on by Mesa County Democrats, while at the same time, the Mesa County Republican Party is actively working to register new members and is even meeting their goals. The growth in Democrats is coming from people switching parties, as well as from new registrants. Mesa County Republican Chairman Kraig Andrews speculated as to what was behind the surging growth rate in registered Democrats, and cited the local economy. But the increasingly negative and sophomoric Republican Presidential primary has a lot of people, including Republicans, squirming with discomfort, and could easily be driving people out of the party. Our area’s economy, long in almost total control of members of the Mesa County Republican Party, is in terrible shape and getting worse all the time. 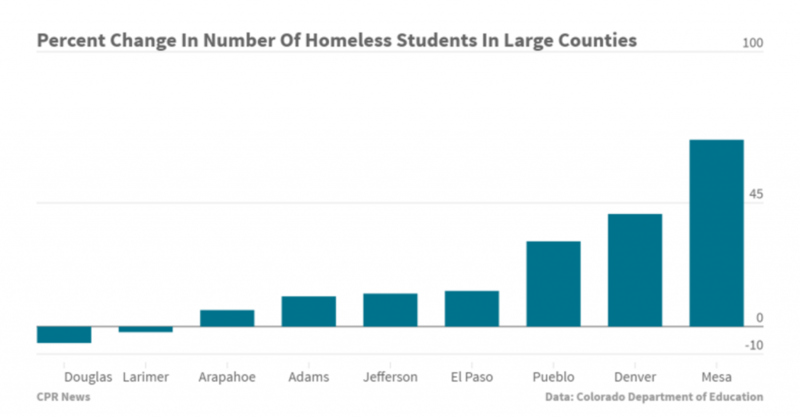 Mesa County now leads the state in growth in the number of homeless children, having grown by 68% just between 2014 and 2015. Mesa County’s jobless rate has spiked in 2016, in the aftermath of seasonal layoffs. Coal mines are shutting down and coal companies are going backrupt, oil and gas jobs are leaving and Exxon finally admitted that oil from shale is an unrealistic pipe dream. The sitting Mesa County Commissioners continue to live in the past, hoping for a resurgence in all of the above boom-and-bust extractive energy industries, and have demonstrated that they lack the drive, necessary vision, open-mindedness and creativity needed to pull the County out of its economic slump. Given all this, area residents could very well finally be thinking it’s time for a real change in leadership in Mesa County. We’ll see how it all shakes out in the coming elections.